Main Phase: Exhaust this card to reduce by 1 action token the cost of the next Friend you play this turn. 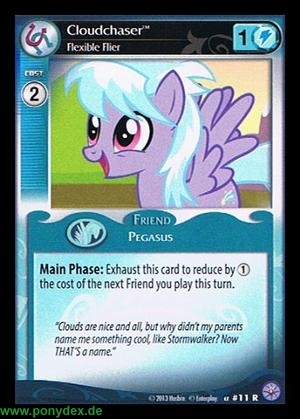 "Clouds are nice and all, but why didn't my parents name me something cool, like Stormwalker? Now THAT'S a name."